Salt Lake City, UT. Caveon is pleased to announce the addition of Kate O’Connor to the Caveon team as Sales Director for the Certification, Licensure, and Education markets. With 20 years of experience working with companies such as ACT, Breakthrough Technologies, Innovative Exams, Promissor, and Computer Adaptive Technologies, Kate brings a wealth of experience to her new role at Caveon. Her background working with clients in the IT, medical, corporate and educational fields provides her unique insight into the security concerns these markets are facing, and she looks forward to helping promote assessment solutions that address their needs. 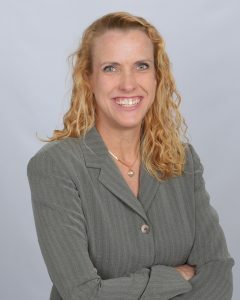 In addition to her broad-ranging background in testing, Kate has developed expertise in the intersection of testing and technology, specifically in the areas of online proctoring, computerized adaptive testing, and assessment technology. In past positions, she managed computer-based testing programs from inception through completion, developing scope of work, business rules, written documentation, test production details and timelines. She was also the liaison between her clients and the technology team, creating software requirements based on client needs. For more information about Caveon, Caveon’s technology products or for any topic related to test security, please contact richelle.gruber@caveon.com.